The world is littered with task and project management software solutions :clipboard:.But what about all the critical processes that keep the organization running? :train2:.Too often, these key processes -- repetitive, critical, mandated, or even legally required -- are missed, dropped, or lost in the noise of everyday busyness.Enter TeamChores, a process management tool that helps you stay on top of your team’s critical recurring tasks and processes :alarm_clock:, boosting accountability :thumbsup:, and keeping critical knowledge :mostly_sunny: in-house.TeamChores helps quiet the noise by making it easy to:* Schedule, assign and manage critical recurring chores and processes - easily document instructions, checklists, and procedures* Rotate assignment of chores across team members :female-factory-worker::skin-tone-2:* Build process learnings and history to make your teams more efficient, save on-boarding time and protect from critical knowledge walking out the door. 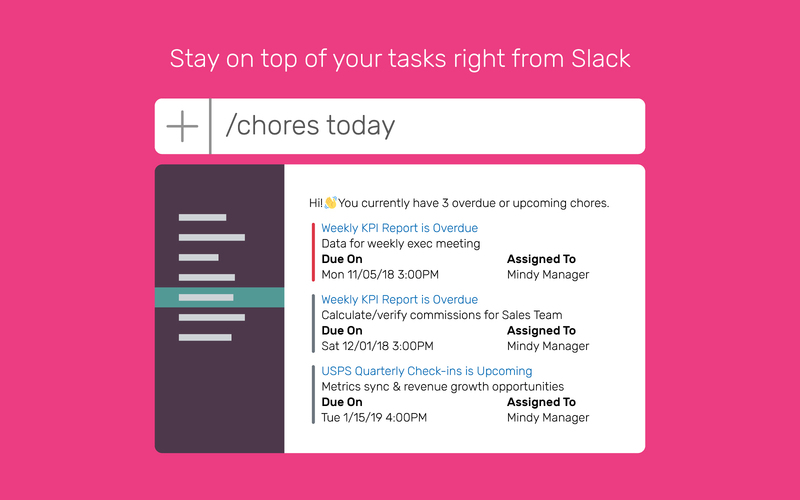 * List and complete chores right from Slack :slack: - with simple and intuitive commands like /chores today or /chores overdue* Get critical notifications :male_fairy: - assignees and interested stakeholders have full control over when and how they get notified (email, Slack, SMS)Our simple monthly subscription comes with a free no-obligation trial, with pricing for most teams at less than $2 per-user per-month.Join the process management revolution and try TeamChores today. Visit our install page to learn more, or reach out with any questions. We'd love to hear from you! 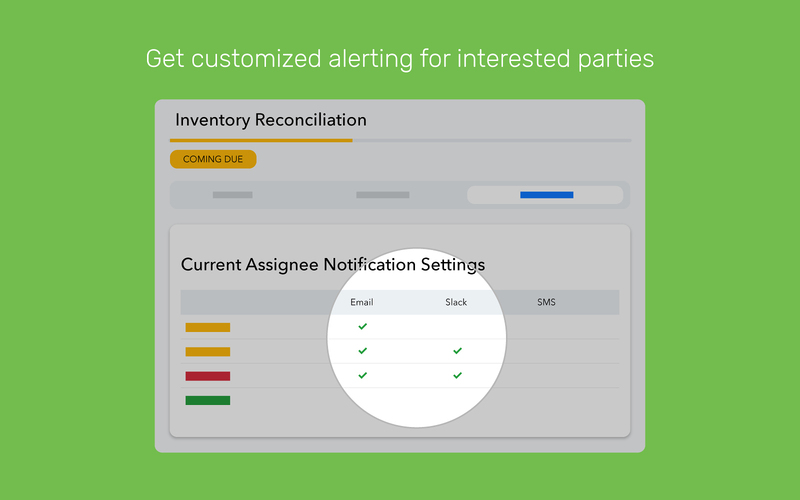 TeamChores will be able to access information about your workspace, including name, email domain, and icon. 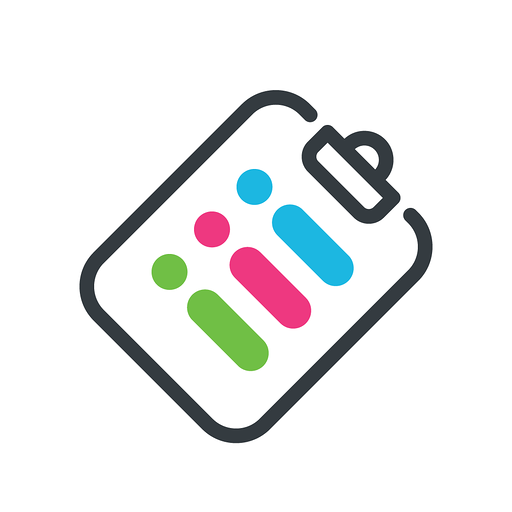 TeamChores will be able to view the email addresses of your Slack workspace’s members. 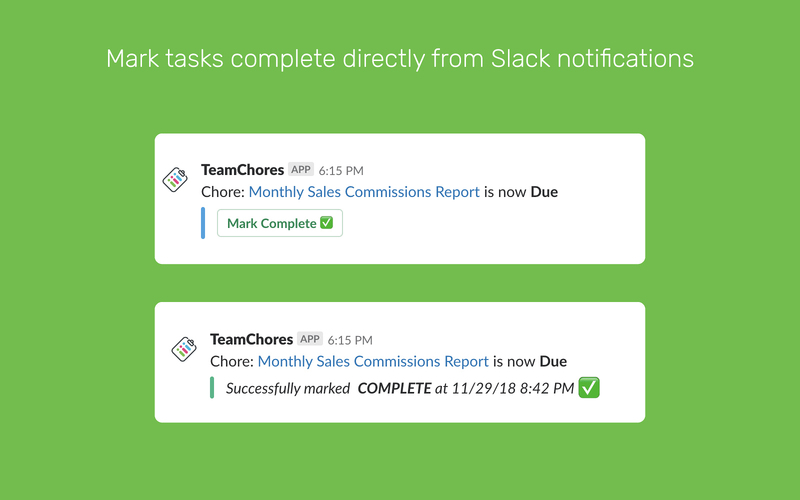 TeamChores will be able to access basic information about your public channels (including names, topics, purposes, creation date, and latest message). 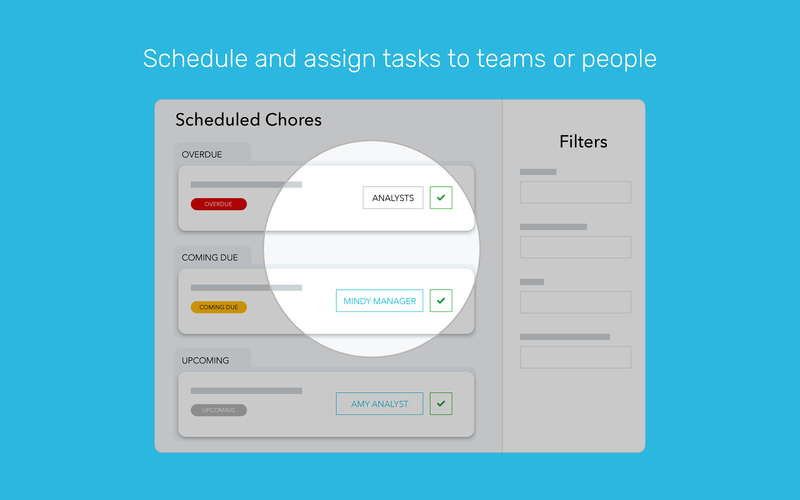 TeamChores will be able to modify information about your public channels, including name and purpose, as well as archive and create new ones. TeamChores will be able to view your user id number, full name, and workspace id number on your workspace. TeamChores will be able to install a bot user that appears in and has access to your workspace’s directory. It can also post messages and view activity on messages in any channel it is invited to. 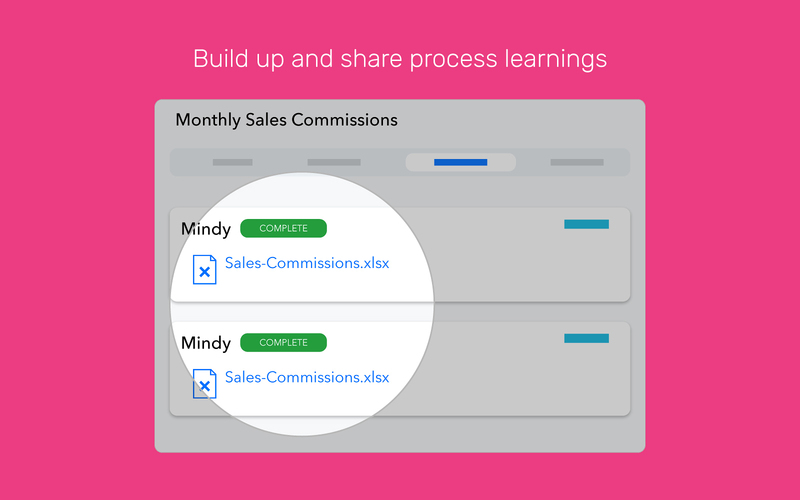 TeamChores will be able to access profile information for all users on your workspace, including names and contact information.